*****Please have in mind that it takes 5 to 7 days to finish the product and 3 days to ship it. You can be certain that your order will be in your hands within 10 days of purchase. 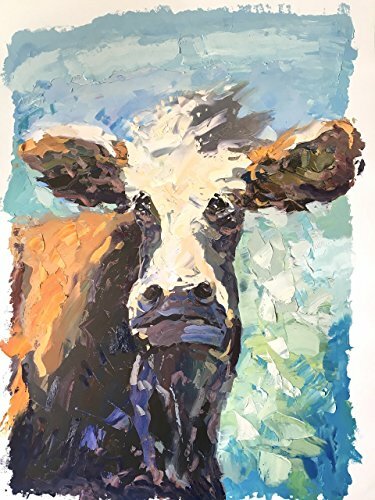 ***** Hand Painted Artwork - One of a Kind - Title: "Cow" Paper Size: 32"x24 - Materials: Cotton Paper, Oil Colors and Ink. Perfect for your house and special unique gift.